Remember the feeling you had when you received the keys to your very first car? New or old, the car was new to you, and one never forgets the thrill of owning a car for the very first time. Not every teen receives their own set of wheels when they get their drivers license, but whether you’re giving them the keys to their own car, or their own key to the family car, it’s a special time, nonetheless. To make the exchange of keys an even more exciting experience for the whole family, here are a few ways you can have fun together when the big moment arrives. Don’t just hand the car over to your newest driver. If you’re gifting a car for their birthday or perhaps even Christmas, it would be a lot of fun to present them with car-related gifts, first. Think keychain, personalized vanity plate, car charger, decals for the back window, personalized floor mats, etc. Your teen’s wheels will be turning, for sure! Nothing is more fun that wrapping your teen’s new car key in a small jewelry sized box, and then placing that wrapped box inside of a larger box, and wrapping that one, as well. Continue the process until you have several wrapped boxes within larger wrapped boxes, so your teen has to open each box to get to the box with the key. They’ll definitely be surprised once they get down to the smallest box! Send your teen on a fun scavenger hunt for their surprise. Don’t give them any hints that lead them to believe that they are on a hunt for a new car. Come up with clues that will send them to some of their favorite places like a favorite store, coffee shop, the library, etc. The very last clue should lead your teen to the place where you have parked their car. Mark it with a big bow, and watch your teen’s excitement when they realize they have found their gift! 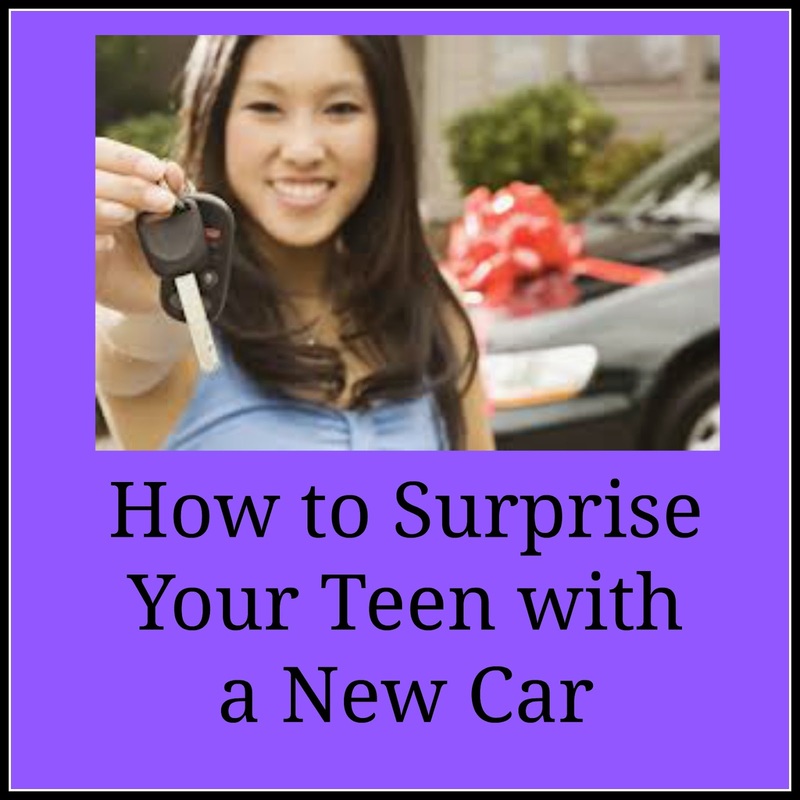 Surprising your teen with a new car will be a fun experience for you, and will create a special memory that they’ll never forget. These are some great ideas! I'll keep these in mind!